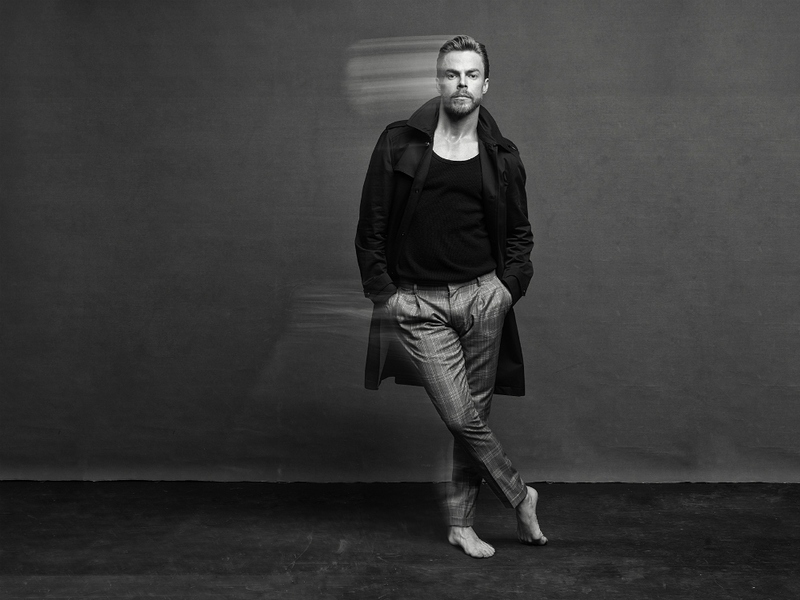 Emmy Award winner and renowned dancer Derek Hough takes his first solo tour to the main stage at MGM National Harbor this month (April 19). It will feature a fusion of dance and music. In his latest chat with Capitol File, Hough dishes on hitting the road, what it’s like judging on World of Dance and his upcoming summer family reunion plans. Since it's your first solo tour, fill us in on what to expect. DEREK HOUGH: I have the most amazing dancers on the road with me and a live band for the first time. There will be every genre of music and dance you can possibly think of—big band, Latin, rock n’ roll, tap, contemporary musical theater. I was really careful with the setlist I chose for the show. The show's music is meant to be played live. The response has been incredible. The energy from audiences has been incredible. I’m really proud of what we put together. What inspired you to go on this solo tour? DH: I love touring and going on the road. It’s great and there’s nothing quite like it. You’re headed back for a third time to judge World of Dance. What is it about the show that keeps you coming back? DH: It is so much fun. I have such a good time on the show. The talent is incredible and working with J-Lo and Ne-Yo is great. I love it. What’s it like working with Jennifer Lopez and Ne-Yo? DH: They’re wonderful to work with. It’s wonderful to see firsthand J-Lo prioritize her kids. When I see we’re in the middle of filming and she’ll get a FaceTime from her kids, she’ll stop and talks with them. It’s really beautiful to see. You’re an Emmy winner and best-selling author, but is there anything you’ve wanted to accomplish that you haven’t yet? DH: I have penciled in a plan to climb Mt. Kilimanjaro in June. I have career goals and life and adventure goals. They’re always fun to plan. I think for me career-wise, I am looking into directing some things, some larger projects. We’ll see, there are some fun things coming up in the works and I’m excited to share them with everyone when I can. How’s your family? Are there any plans to get together in between touring? DH: We always get together in the summer, most likely in August. We all come together around the lake and hang out and catch up with each other. It’s a good time. DH: Right now, I’m in tour mode. There are a few projects in the works but I’m unable to talk about them at the moment.